APA Christmas Party 2014 – Tickets on sale now! 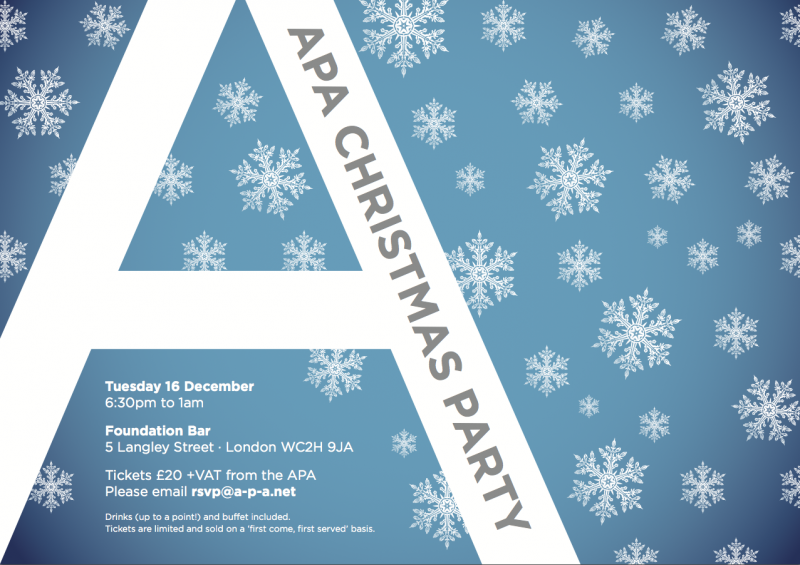 Get your tickets to the 2014 APA Christmas Party on the 16th December – just email [email protected] to reserve, and they’re selling fast! Each ticket is £20 +VAT and includes drinks and nibbles to get you started.